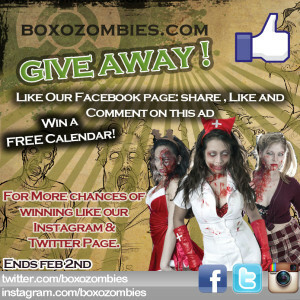 Want a FREE Zombie Girl Pin Up Calendar? So in celebration of our new [2014 Pin Up Girl Calendar] which is available now on our ‘Web-Store‘, we are wanting to give all you Nerdy Zombies a chance at winning one! We have 3 to give away! Like our Facebook Page then Like, Share and Comment on this Ad and you’ll be in with a chance of winning one. www.tiwtter.com/boxozombies Follow us, Retweet and Favorite the post. 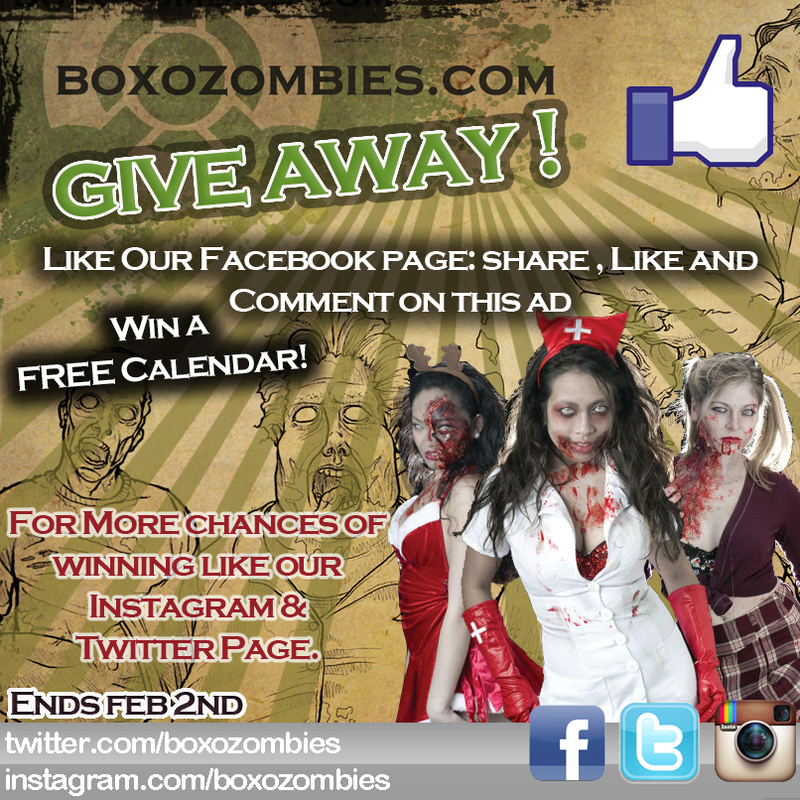 www.instagram/boxozombies Follow us and like the post. This entry was posted in General by Dan Jones. Bookmark the permalink.